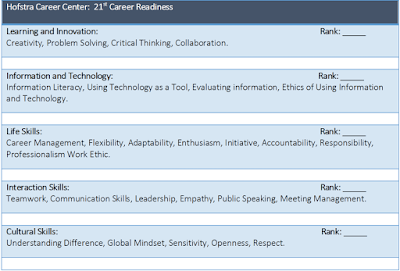 What are the skills that students graduating in 2016 need in order to be career ready? 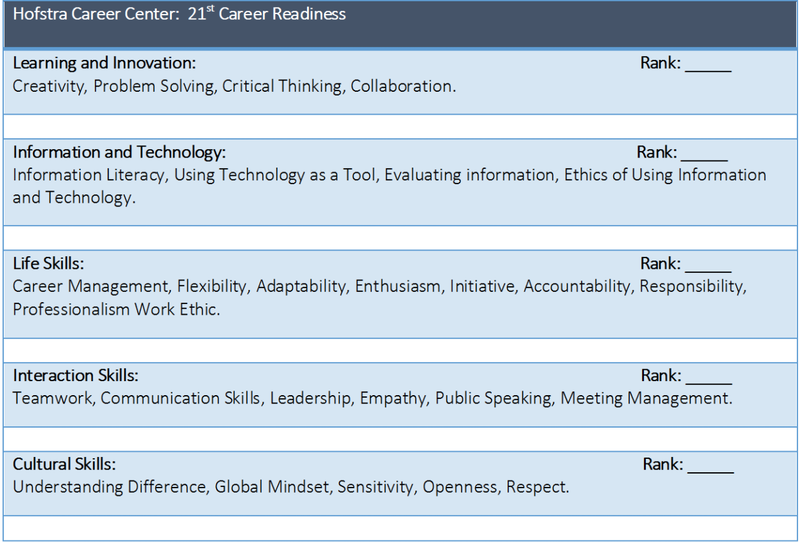 Based on the National Association of Colleges and Employers (NACE) Career Readiness list and the 21st Century Skills initiative, Hofstra is excited to introduce our 21st Century Career Readiness list. 1. Rank each section on a scale of “mastered” (5) to “needs substantial work” (1). 2. Then, list several ways in which can you work toward improving in that set of skills. You can use the CareerHub website to get ideas. 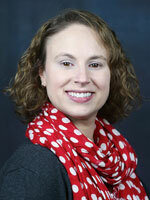 This is a great starting point for career counseling! Call 516-463-6060 or visit the CareerHub to schedule.